Book a hotel in London to match your budget here. Use our powerful hotel comparison search tool and get the best price from the over 3000 hotels in London. Best price guaranteed. Search For Deals On London Hotels Here Now. Enter Your Dates below. Book a hotel in London here if you're considering a trip to the UK's capital, Find all the help and tools to make the right choice and get the best deals on London hotels; from top luxury hotels to budget hotels, bed and breakfast (B&B) rooms, hostels and bed sits. Hotel accommodation could be expensive in London. Most budget hotel rooms start from a rate of £55 per night. On the top end of the scale are the presidential suites in highbrow London hotels commanding nightly rates of up to £7150 per night! Whatever your choice and affordability is, find a London hotel to suit your budget. Get up to 75 % discount in some top London hotel. Find the best deals on London hotels by using our powerful hotel comparison search tool. Because London hotel accommodations can vary enormously in terms of quality and affordability, it is important to choose wisely when deciding where to stay. And to book a hotel before you arrive in the capital. Apart from comparing the best priced hotels, the following are things to look out for when booking a hotel in this city. Book A Hotel In London: Things To Ponder. Hotels in London are often fully booked. Particularly throughout the summer months you may find that only the very expensive rooms are left, or only the very low quality hotels: so book a hotel in London as soon as you can and get the best deals on London hotels. You almost cannot go wrong if you book your London hotel as soon as you are aware you will be travelling up to a year ahead. Don't Leave It 'Til Later! How much are you willing to spend for your accommodation? Despite the fact that most London hotels are expensive generally, you will be surprised that you can find hotels to cater for all budgets. Do you want a Hostel, or Bed and Breakfast or 3 star or 5 star hotel? Want to spend £30 or £55 or £175 per night? Are there any 'hidden' extras? For example, many hotels may not include breakfast, so if you really want breakfast, then make sure it is included. On the other hand, if you don't really care about cost, then see top end London Hotels, brought to you with our hotel search comparison engine. 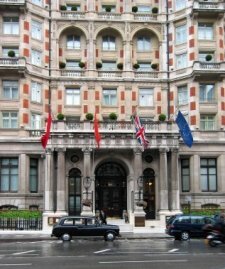 Below is a guide on which are the budget hotels in London, the middle cadre hotels and the top end hotels for your perusal and to help you make an informed decision on your choice of hotel. 3. How Far From The Major Tourist Sights Is My Hotel? London is packed with so many places to see and things to do. What is your interest? Are you going to London on a vacation and are in the mood to see places or just a few days for business and would hardly have time for anything else? If you are not keen on visiting places, then look for hotels away from West London where most of the tourist attractions are situated. You pay less that way and get less traffic in your way. You can see many of these great places for free. You can book a hotel in London and see most of the above attractions and more for a fraction of the cost by buying a London Pass that gives great discounts on many of London sightseeing venues. 4. Does The Hotel Have A Fair Cancellation Policy? Sometimes hotels make guests pay even if they aren't able to take the room. But others may only charge a percentage of the cost of the room. Unless you are 100% certain that you will be able to use the room, make sure you check out the cancellation policy. This is another important point to consider when you book a hotel in London. The usual position is that you should be able to cancel a room up to 24 hours before your check in time and incur no charges but perhaps a small administrative fee rather than losing the whole fee for that booking. Always read the "small prints" during the booking process before submitting your bookings. Hostels. You can get beds from less than £20. The most popular London Hostels are the YHA. YHA (Youth Hostels Association), is a 80 years plus strong hostel accommodation for young people, families and backpackers looking for cheap accommodation in London and indeed the whole of the UK. Book directly with the YHA to get the best deals. Chose the Oxford Street YHA (14 Noel Street, London, W1F 8GJ) for great location in London. Bed & Breakfast. You can hardly book a hotel in London cheap than what you will get in a "bed and breakfast" accommodation. These are generally 2 star level hotels often run by private individuals providing a small room with a bed and table and serving breakfast in the morning. All services including breakfast is included in the price. This type of London accommodation is very popular in the UK. Room Price starts from £55 per night depending on where the B&B is located. Travelodge Hotels. This hotel chain is one of the fastest growing hotels in London and the UK, providing budget hotel accommodation. You can get a decent sized room, clean and well looked after for a rate starting from £25 per night depending on when you booked and what days you are staying. Save money. Book a London hotel with Travelodge. Premier Inn. "Everything premier but the price". Truly, they give you very good value for your money, and are very very good too for family bookings. You pay per room rather than per person...so you get top accommodation without having to "break a bank". Rates could be from £29 per room (average is currently around £59 on week days), yet you are guaranteed very very high standard for your money's worth. There are lots of Premier Inns in London covering most popular destinations to choose from. Rates could start from £175 per night. Whatever your needs are, to book a hotel in London, you do not have to do the hard work anymore. Click here now and just put in the dates you want to stay and select the area in London you are looking to live in and we shall do the search through over 3000 hotels in London's 90 or more districts including Heathrow, Gatwick and London City Airports. Every property is rated by real guests who have reviewed their accommodation after their stay. This helps customers to make the best choice whether they are looking for a prestigious 5-star accommodation or a good quality 1-star property". You are also guaranteed the best price when you book a hotel in London through our search partner, Hotelcombined.com. Do you have a great story about an inexpensive good quality London hotel you lodged in recently? Share it! Or do you have a query about a London hotel? Help improve hotel services in and around London by sharing your experience with others here. Questions are also welcome. Please feel free to respond to query posted here by other users.